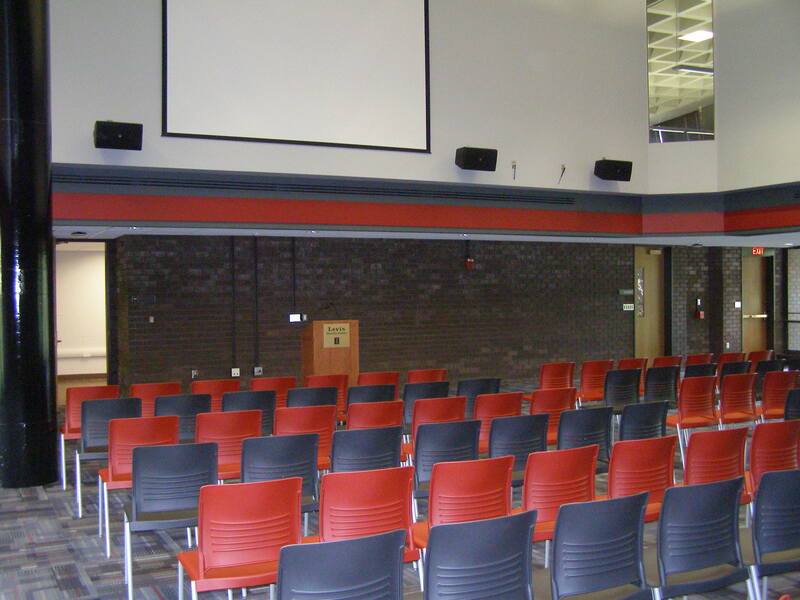 This space is equipped with audiovisual equipment for presenters. This is a view of the room, with movable chairs, and lectern in front. 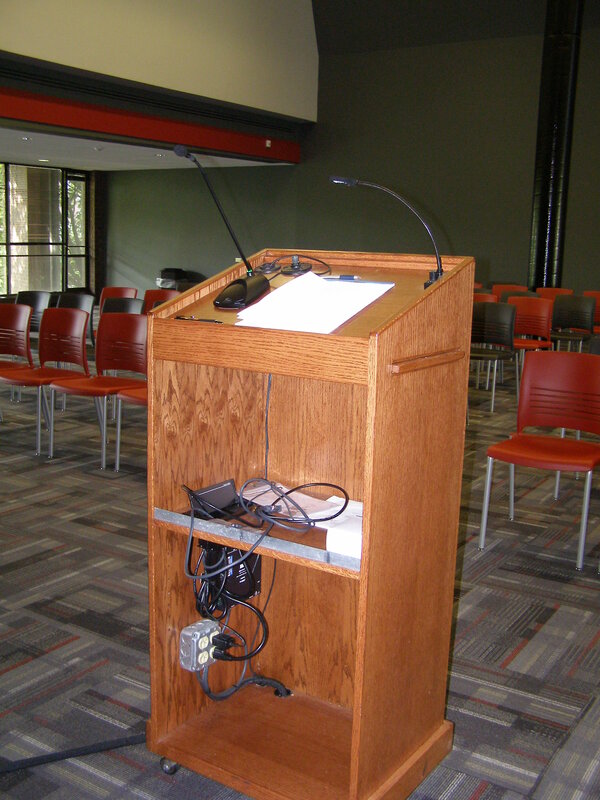 The inside of the lectern with HDMI and VGA inputs, and wired microphone.